These spires are the reason we were there, since they’re visible from the highway well before you get to town. And we’re not the kind of people to not check out spires! 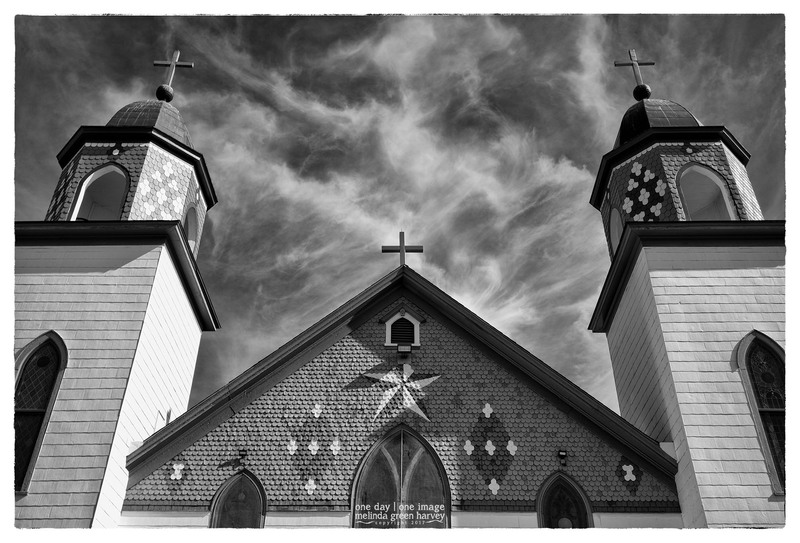 Posted on December 16, 2017, in Photography and tagged 365 photo project, architecture, black and white photography, church, church of the visitation, learning to see, Leica, melinda green harvey, monochrome, one day one image, photo a day, photography, postaday, texas, thoughtful seeing, westphalia, westphalia texas. Bookmark the permalink. 4 Comments. Thanks, Richard – it was an interesting place to visit.